Discussion in 'Electrical and Ignition: Repairs and Modifications' started by grumpyvette, Oct 2, 2008. They are very similar. 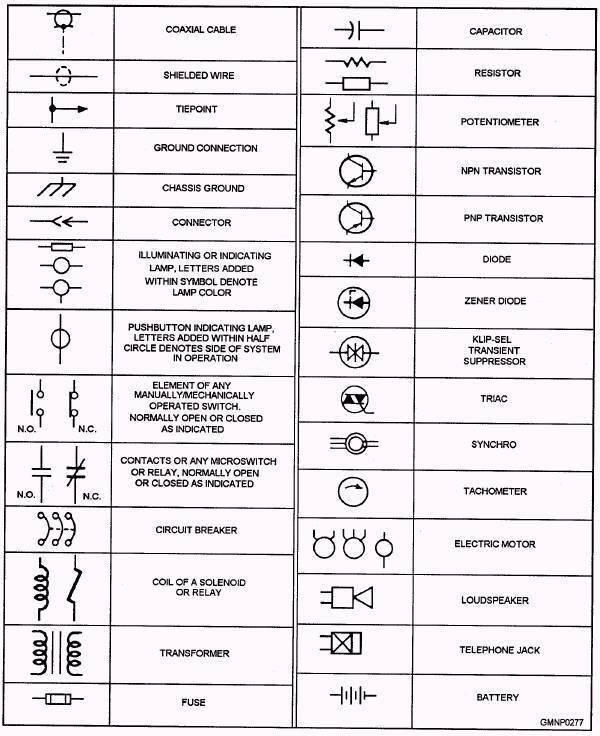 The Multi-function Switch is the turn signal switch or Directional Signal/Hazard Warning Switch Assembly in the attached schematic. Operates turn, hazzard and high beams. The Stop Lamp Switch is always connected to the rear lights, unless a turn is requested. At that point the Stop Lamp Switch connection is broken and the requested turn (Left or Right) is connected to the Direction Signal Flasher. The other side remains connected to the Stop Lamp Switch. This way if a right turn is selected, the contacts in the Directional Signal/Hazard Warning Switch Assembly that are between pins M, N and P are the ones we are interested in. Pin P is the input from the Stop Lamp Switch and supplies battery voltage when the brake pedal is depressed (Stop Lamp Switch closes) to the OFF contact, because a right turn was selected in our example, pin N is no longer connected to the OFF contact, but is now connected to the RIGHT contact and pin L, which goes to the Direction Signal Flasher and the right tail lights flash. Pin M is still connected to the OFF contact and the left tail lights light solid as long as the brake pedal is depressed. Obviously if a left turn is selected, this is reversed and if no turn is selected, both pins (M and N) remain connected to the OFF contact and all tail lights light solid if the brake pedal is depressed. To troubleshoot the Stop Lamp Switch (Brake Light Switch), verify battery voltage to ground from the orange wire. It looks like you did that with your test light and it was good. Now check for battery voltage between ground and the white wire. Same as the first test, but move the one end of the test light from the orange wire to the white wire and push the brake pedal. If no light, it could be out of adjustment. Try the tests again with the switch unmounted. The orange and white wires are connected to normally closed contacts and the brake pedal opens them when in the at rest position (brake off) blocking current flow to the Directional Signal/Hazard Warning Switch Assembly and no brake lights until you press the brake pedal and the switch is allowed to close and the current can again flow to the lights. This means that with the switch connected, but not mounted, the contacts should be closed and the test light should light on both the orange and white and the brake lights should be on. Try it and see what happens. If not we'll move on from there. Your Corvetteâ€™s main cooling fan is controlled by the PCM. The PCM sends a ground signal to the fan relay when it sees the desired temperature to run the fan has been met. You need to check the relay and make sure you are getting your battery 12V and ignition 12V when the key is on. With the key on, jump the ground wire in the relay, if the fan turns on you have an issue in the PCM and it may be time for a rebuild. 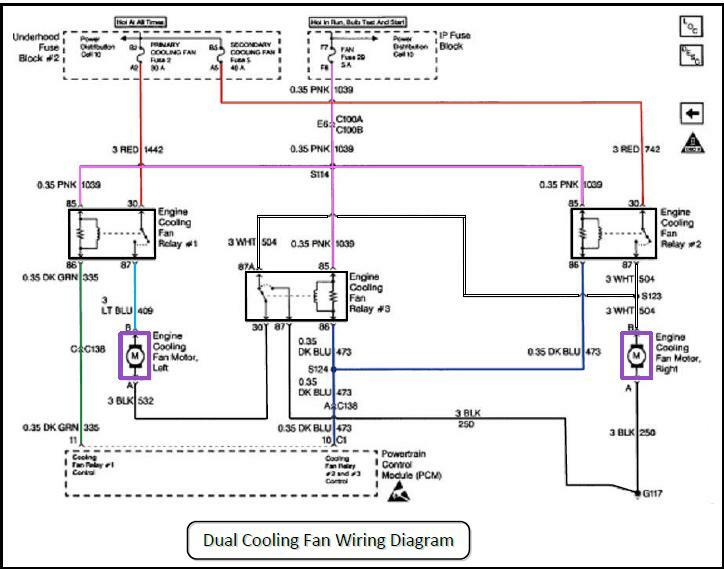 If it does not turn on then your problem lies in the fan circuit between the relay and the fans. there are several decent test tools available, but in most cases they cost a good deal and get used far less than a quality multi meter, Ive purchased several similar tools over the years, from shops that were closing down, , usually dirt cheap, or was given a few for free. Ive usually found they don,t really provide much more info than you get from a multi meter and/ or a few mini-alligator clips can tell you about function, if you know the ohms resistance or continuity for the gauge or sensor your testing. I recently had both head lights go out, now the chances of BOTH bulbs failing at the exact same instant is obviously almost non-existent so a quick check showed as expected that the problem was a lack of current so I suspected a fuse....which happened to test out just fine, so looking at the shop manual wire diagram indicated the light switch was a prime candidate as the source, the multi meter showed the switch was defective as the wires to the lights got zero current when the switch was turned on. you basically start by checking fuses and working out from the battery and ignition or fuse panel in many cases or verifying the electrical grounds are good. Engine Idling (no lights or accessories on) - 35 to 50 amps. 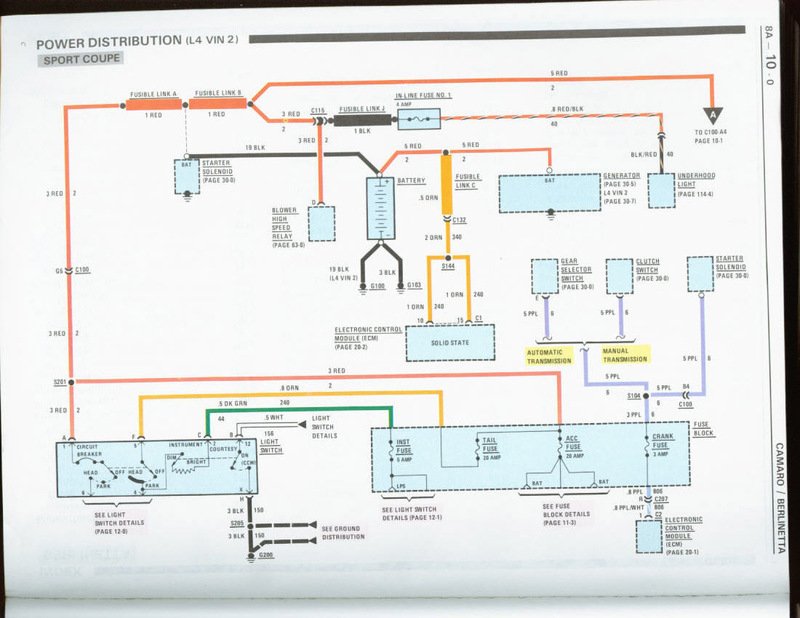 This will vary depending on the number of cylinders (more cylinders draw more power for the fuel injectors and coils), the type of fuel injectors (some draw higher amp loads than others), the type of ignition system (single coil or multi-coil), the amp draw of the PCM, and the fuel pump (the amp draw will be higher with higher pressure systems). Ignition Coil (single oil-filled coil older vehicle) - 3 to 4 amps. Ignition Coil (single DIS coil newer vehicle) - 5 to 6 amps. Ignition Coil (coil-on-plug) - 6 amps per coil. Ignition System (primary circuit) - 6 to 20 amps. Many meters are inexpensive because they require you to manually select the correct measurement and range for the test you want to do. More expensive auto-ranging meters are available to handle range selection. All car batteries provide DC (direct current) voltage, most often in the range of about 10 to 16 volts. Look at the face of the meter and turn the handle to select DC volts, with a maximum range of 20. Other choices may include 2 or 200 DC volts. You could harm an inexpensive meter by selecting 2 volts, if it doesn't have over voltage protection. Choosing the 200 volt range won't blow anything up, but you won't get a useful reading. The two probes that came with the meter are red and black. Red is always for the positive terminal and black for the negative, or ground, post when doing voltage readings. With the engine off and the key out of the ignition switch, touch the black probe to the ground post and the red probe to the positive post. 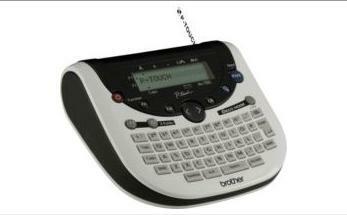 The meter should instantly display a number, which is the battery voltage. Expect to see something in the range of 11.5 to 12.6 volts. Anything less than this may indicate a bad cell in the battery, or one requiring water if it is not maintenance-free (unusual these days). The next test could save you hours and hours of messing around, particularly on older vehicles. 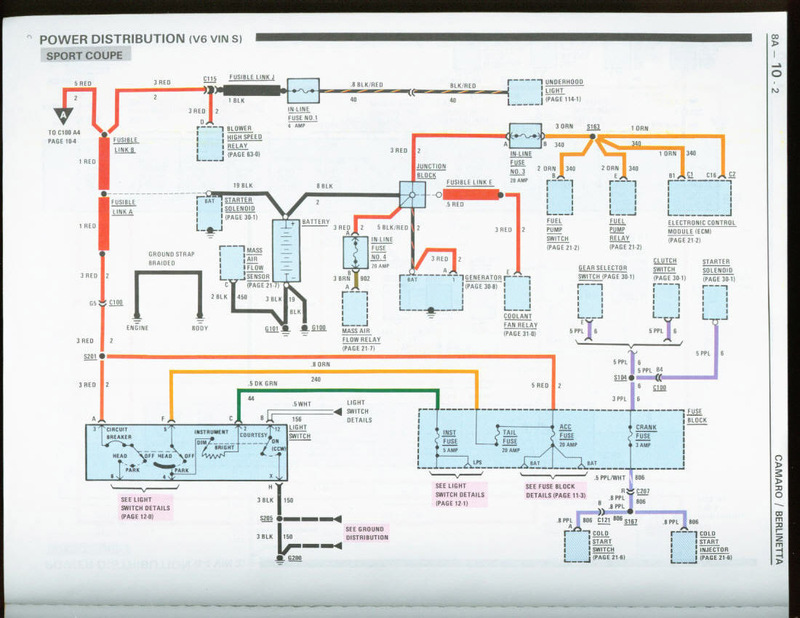 Modern car electrical systems use a 12 volt, negative ground configuration. This means that electricity is supplied from the positive terminal on the battery, while the negative terminal is connected to the car body and chassis. This works well so long as the body and chassis are metal. 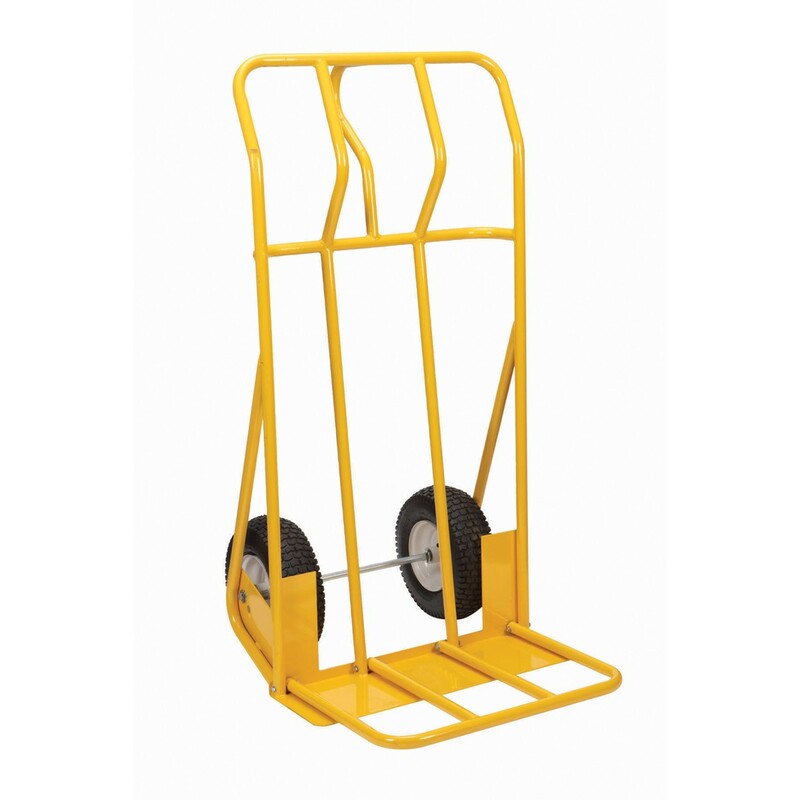 It also works well as long as the body and chassis are electrically connected, usually by a ground strap or fusible link. Checking the resistance between various points on the body, engine and chassis will ideally show no resistance. This allows continuous flow of electricity and is called a continuity check. Resistance is measured in ohms, so we're going to set the meter to its lowest resistance range to do our tests. With that done, touch the red probe to the negative terminal on the battery. Yes, I said the black goes to the negative last time, but we're not measuring volts any more. Now, touch the black probe to some bare metal on the engine. The exhaust manifold is often a good place. Your meter should display a zero for the resistance value. It may also beep or flash a light, depending on its design. If it doesn't display zero or some very low value, check the connection between the battery's negative cable and the body or engine. Follow the black cable from the battery to its destination. Look for a corroded or loose terminal. Look for a ground strap that connects the body and the chassis or subframe. The body is mounted on rubber isolators to keep the cabin quiet, but rubber is an insulator. 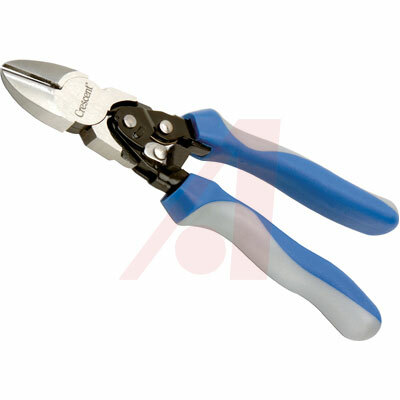 A direct electrical connection is established using a flexible metal strap. Check the ground strap for corrosion, loose connections and overall good condition. Clean and tighten the connections, and/or replace the ground strap as needed. You may need more than one pair of hands to do this, so if someone is around ask for their help. Even if the battery showed a good voltage in the first test, it may be worn internally and barely able to supply enough juice to start the car reliably. Before anything else, make sure that the battery terminals are clean and the connections are tight and secure. Do the same for the starter motor and the starter solenoid connections. Now, we want to disable the ignition system so that the car won't start when we crank it. On older cars, you can do this by disconnecting the ignition coil - either the high voltage wire going to the distributor, or preferably the low voltage positive (red) wire going to the coil. For electronic ignition, refer to the car's manual on how best to do this. You may need to disconnect the distributor pickup coil, or a crankshaft or camshaft position sensor. Set the multimeter's range and connect it to the battery as done in Test 1. If you have a remote starting switch, use it or else have someone try to start the car for about 15 seconds. Watch the voltage displayed on the meter. The following chart shows the best result for the current temperature. What you saw on the meter doesn't correspond with these results, then you have a problem. If the previous step went well, or you cleaned up all the connections, the current problem lies either with the battery, starter motor or solenoid. You can take the battery to a shop to have a load test done. Further checks of the starting system are possible, but are beyond the scope of this article. 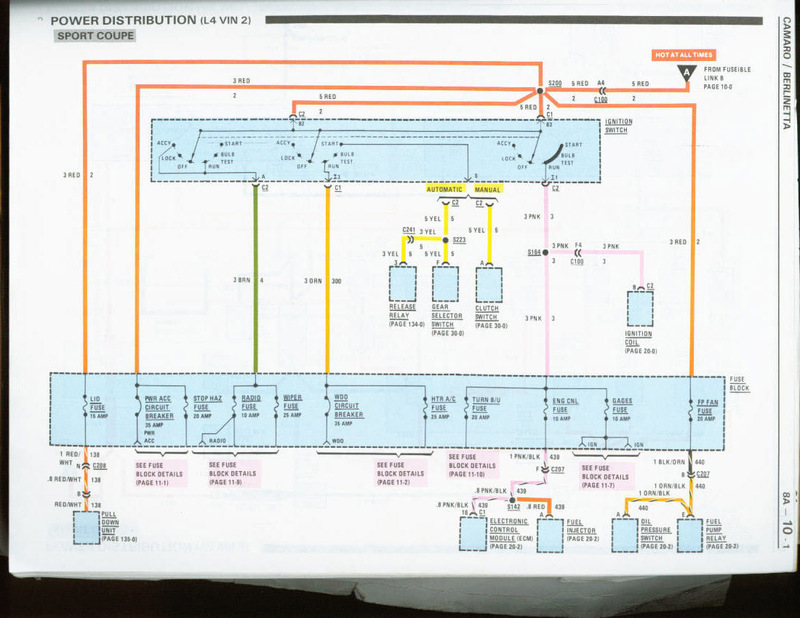 Check the manual that came with your meter for more information that may help. To see if the vehicle's charging system is healthy, set up and connect the meter as we did in Test 1. Start the engine and let it idle. Turn off all electrical loads, such as the stereo, fan, lights, defroster and so on. On the multimeter, you should see a value between 13.2 and 15.2 volts. Values lower than this may indicate loose or corroded connections, a loose drive belt or a mechanical problem with the alternator. Higher readings are most likely due to an electrical problem with the alternator. If you're good to this point, have someone sit in the car and run the engine up to 2000 to 2500 rpm and hold it there. Check the reading on the meter. It should not have changed by more than half a volt from the previous reading. Now, have them turn on as much electrical load as you can. With the fan, lights, rear defroster and everything else running, the battery voltage should not drop below 13.0 volts. If you have installed a high end audio system, leave it off at first. If the voltage is at 13.0 or higher, but drops below when the audio system is on, it is drawing too much power and you need to upgrade to a higher output alternator. The ground resistance test we did earlier is a special application of the Continuity test, which checks for a continuous connection between two points or electrical terminals. This is a very basic and also very handy test. For example, you can verify the state of a fuse with a continuity test. If the resistance between the fuse's terminals is zero or very close to that, then the fuse is good. If the resistance cannot be measured because it is too high, then the fuse has blown and there is no continuity between the terminals. The same thing applies to high voltage ignition wires. These will have some resistance to them. Just check the manufacturer's literature for the value. If you can't find that, then just keep the average value in mind as you go along. Touch one probe to each end of the ignition wire to measure the resistance. Wiggle the wire and see if any big changes in the resistance happen, which would indicate a loose connector or perhaps a break in the wire. 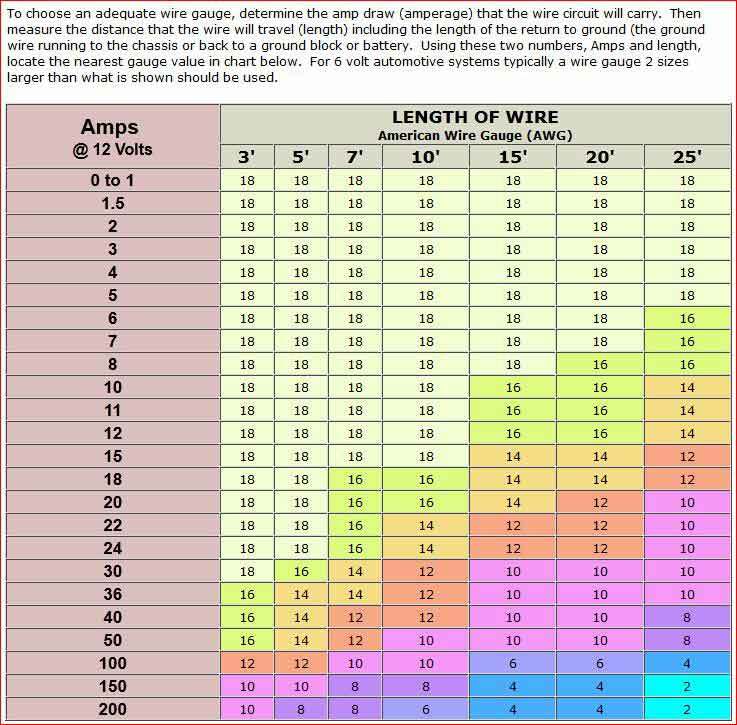 If all wires but one have a similar resistance value and one is significantly higher, the oddball wire probably is defective. Checking a mechanical switch is just about as easy. After disconnecting the wiring harness plug,touch one probe to each of its two terminals. Then actuate the switch manually. You should see the change. A normally open switch will show infinite resistance until you actuate it, then it should show zero resistance. A normally closed switch will show the opposite. If it doesn't change, the switch is shot. You can apply the same test to a number of other components that could be stopping your ride. For example, anything that uses a coil - ignition coils, solenoids, injectors and most sensors - should read only a low resistance between the power and ground terminals. A coil, after all, is just a spool with a lot of wire wound around it. If the wire has been broken, there is no continuity between the terminals and the coil cannot do its job. Coil-on-Plug (COP) ignition coils can be checked individually. The best approach here is to test the coil resistance when everything is cold. Look for look for open circuits (infinite resistance) or an odd man out. If the car can be run while the low voltage coil wiring is reachable, run the car for a while and then stop. Quickly check the coils again and see if anything has changed significantly. This could help you diagnose an intermittent problem. If you cannot easily get to the coil terminals with the COPs in the car, you could use an oven or a heat gun to heat them up to about 300 degrees F and check them - carefully - while hot. DO NOT microwave the components! 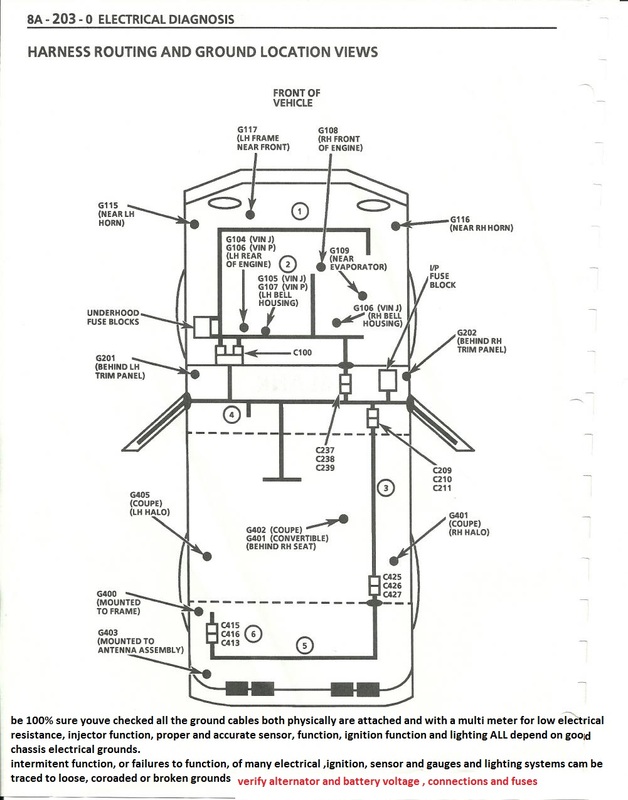 Another case where you would need to measure resistance would be during the install of a remote starter kit, in a GM vehicle that uses the Vehicle Anti-Theft Security (VATS) system. 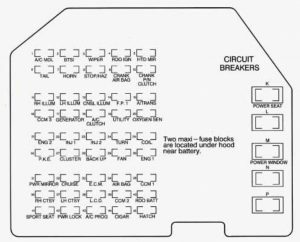 For the remote start feature to work, you'll have install a resistor in the wiring that matches the value of one that is embedded in the key. To figure out that value, touch the probes to either side of the pellet on the VATS key. 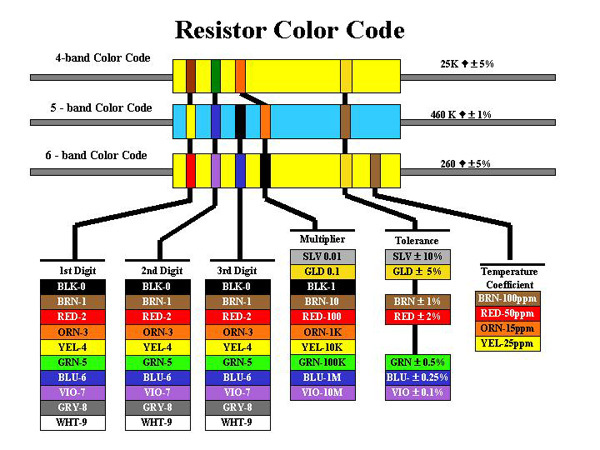 With that knowledge, you can find and install the correct resistor. OK, so you've got a tach inside the car but it's not simple to read when you've got your head under the hood. Hooking up the meter is easy, or a bit harder depending on whether you're dealing with a conventional or electronic ignition system. Some of the following details may vary by the brand of multimeter you're working with, but a little common sense will help get you through the details. Before hooking anything up, you have to tell the meter about the engine you're checking, specifically the number of cylinders. Most meters have individual dial settings for RPM tests on 4, 6 and 8 cylinder engines. Some might have a separate switch for setting this. Since most meters also only use a 3 or 3-1/2 digit display, you may be reading tens of RPMs and have to multiply the displayed reading by ten. So, if the meter is showing "215" then the engine is turning at 2150 RPM. Pretty obvious stuff, right? For vehicles using a distributor, locate the ignition coil and connect the red probe to the negative terminal on the coil. Connect the black probe to a ground source. Start the engine and run it at the required speed. Read the speed from the meter display. For distributorless ignition systems (DIS), locate the TACH signal wire going between the DIS module and the engine control unit (ECU). 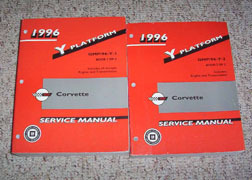 You will need to refer to the vehicle's service or technical manual for this information. Connect the meter's red probe to the TACH signal and the black probe to ground. Start the engine and run it at the required speed. Read the speed from the meter display. In the engine speed test, what the meter was actually reading was the time between signal pulses. Each pulse corresponds to the coil firing. As the engine speeds up, the time between coil pulses gets shorter in proportion to the engine speed. There are other applications for frequency measurement. Some kinds of MAF (mass air flow sensor) send a frequency signal to the ECU, according to how much airflow is detected. You'll need the service or technical manual for the vehicle to know what frequency range is involved. Not all multimeters have the capacity to handle high frequency signals. The same can happen for Manifold Absolute Pressure (MAP) sensors, as well as Barometric Pressure sensors. Ford versions do use an output frequency, while those from GM, Chrysler, Honda and Toyota use a DC voltage. Actually testing these sensors also requires a pressure and vacuum source, typically a hand pump designed for this kind of testing. As as result, we'll not get into the testing details. However, if you need to read any frequency signal, the general procedure is to set the meter to 4-cylinder RPM and test the component. Then, if need be, multiply the display reading by ten to get the RPM value, and finally divide that by 30 to get the frequency in Hertz, or cycles per second. Cars equipped with onboard computers usually need a continuous source of power to retain information. This puts a small, but measurable drain on the vehicle battery. In normal circumstances, the draw is minimal, however, adding more electronics can increase the drain. With older cars, about the only thing that draws from the battery, when everything else is shut off, is the clock. It is also possible that some other electric circuit could fail and start pulling power from the battery. The typical result is a no-start condition when you need to get going the next morning. If you suspect that something in the vehicle is draining the battery, you can measure how much power is being taken from the battery when everything is off. You will need to disconnect the positive cable from the battery. If there is a hood light, take the bulb out, so that you're not measuring the draw from that. Close the trunk, doors and turn off any other electrics that might be running. In this test, you'll be measuring current, as opposed to voltage. Current is measured in Amps (Amperes, actually) and the meter will have a fuse to limit the current flow through it. Too much current will blow the fuse, so for convenience always start at the highest level the meter is capable of... usually 10 amps. We're actually expecting a result less than 200 milliamps, but if you don't have a spare fuse, do it this way the first time. Touch the black probe from the meter to the positive cable and the red probe to the positive terminal post on the battery. You shouldn't have any draw that the meter can measure in this range. If so, switch the meter down to the next range and try again. A current drain of a few or tens of milliamps (thousandths of an amp) can be expected on a modern car to keep the ECU memory alive. If you read significantly more than this, you may have a problem somewhere in the car. You can try to isolate the problem area by leaving the meter connected and pulling fuses one-by-one from the fuse box. If the draw level drops when you pull a fuse out, check what equipment that circuit is for. The problem is likely to be in that area. Some multimeters come with temperature measurement capability. This is most often done using a thermocouple wire that plugs into the meter. A thermocouple is made from two wires of different metal. Those materials are chosen so that they actually produce a small electrical signal when in contact with each other. Even more handy is that the voltage produced changes with the temperature at the junction of the wires changes. There are different types of thermocouple, depending on the metals used. If your meter came with a J-K type thermocouple (probably the most common for general use), you cannot use a different type. The specific performance of the thermocouple is programmed into the meter in order to give you a reading in degrees, rather than volts. To measure the temperature of something, set the meter to read temperature in either farenheit or celcius degrees. Check if there are any range selections available and, if so, choose the appropriate one. Plug the thermocouple socket into the meter and touch the bare end to what you want to measure. Do take appropriate personal protective measures if working near high temperature components, so that you don't burn yourself. 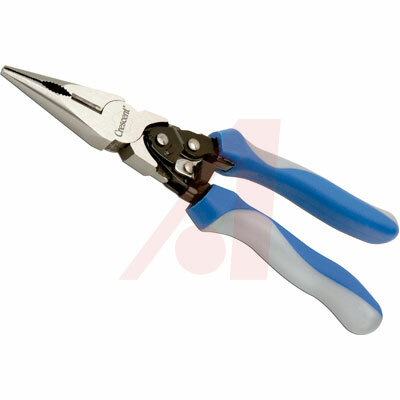 You can hold the insulated wire (gently) with a pair of pliers without significantly affecting the reading. Thermocouples will often show an error range up to two or three degrees. You can check the accuracy by touching the tip to an ice cube, which should read about 32 degrees farenheit (0 deg Celcius). After, immerse it some boiling water. This should read about 212 degrees farenheit (100 deg Celcius). If you're not within a couple of degrees for each of these, check for damage of the wire, insulation and weld bead at the tip. Make sure that the tip is clean. You probably got a three foot long thermocouple wire, which is handy for general work. 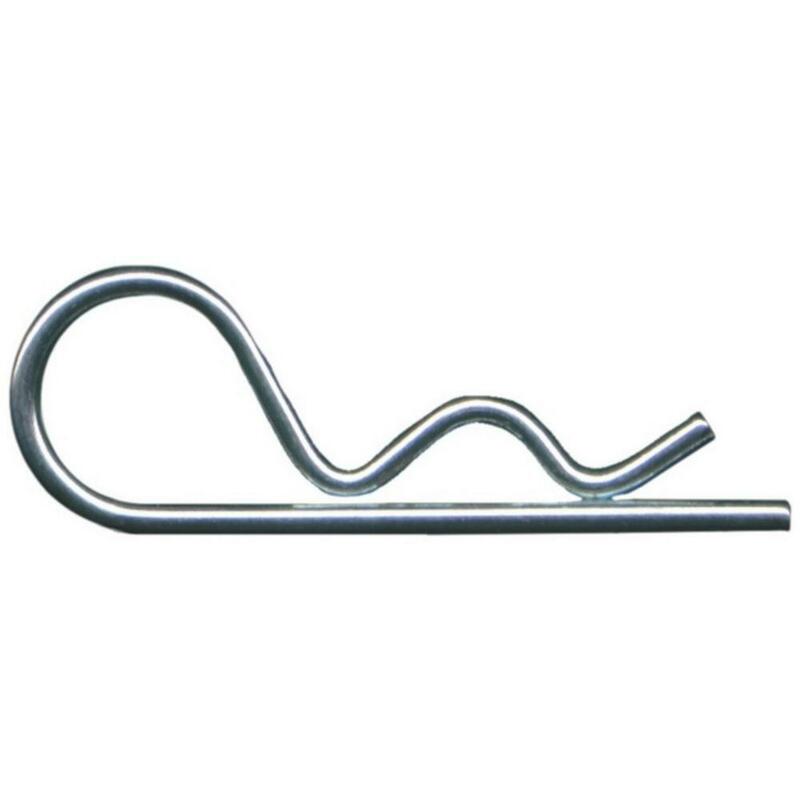 Thermocouples are common industrial items and are available in a range of lengths. With a longer one, say 80 inches (a common size), you could measure intake air temperature on the road by putting the tip into the incoming air stream and running the wire back to the passenger compartment where the meter can be protected and seen easily. There are many other possibilities, with the biggest challenge only being how to keep the thermocouple tip reliably in contact with the component of interest. I can tell you from experience that the most challenging electrical problems that you're likely to encounter in older vehicles result from either a lack of power or a lack of ground. Neither of these problems can be solved by just replacing components and hoping that the new one works. Of the two problems, the lack of a good ground is more likely than a lack of power. Power problems usually come from a broken or cut wire. Ground problems most often result from corrosion. If you've ever seen another car's tail lights acting funny - for example, alternately blinking the signal and brake lamps - this is a sure sign of a ground problem. You only need to do two things to diagnose most any electrical problem. First is an understanding of how the circuit of interest works. For example, a radio needs power, ground and a good signal from the antenna. If it isn't getting all of these, it won't work well, or at all. The second thing is to take that understanding and break it out into a series of simple steps to check. Is the radio getting power? If not, why not? Is there continuity between the radio case and vehicle ground? If not, why not? In general, if there is no power, check the fuses first. If there is no ground, try running a separate ground wire from the radio case to a known good ground. If there is power and ground, does the front panel light up? If not, the radio is likely dead. Is the antenna is good condition? Is the cable from the antenna plugged into the radio? Is there any evidence of damage to the cable? Does reception improve if you plug in another antenna? Answering these questions will bring you to a logical conclusion. You may be looking to upgrade anyway, but its always good to know that you're not throwing good stuff out. Modern vehicles are becoming more sophisticated in all aspects, including their electrics. Charging blindly into the wiring of your car or pulling components out for random checks isn't really the best way to approach things. Stick to the simple stuff unless you have the appropriate diagnosis and repair manuals. 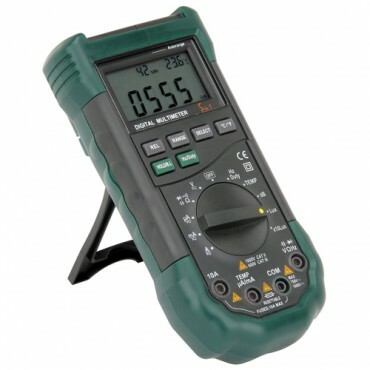 You will likely need much more sophisticated tools than the simple multimeter that we've been dealing with. A better approach is to borrow or buy an OBD II code reader. Modern vehicles have On Board Diagnostics (OBD) and run diagnostic checks regularly. Problem issues are logged and may trigger a check engine light (CEL) or other warning indicator. The code reader can retrieve this information from the car's diagnostic system. What it tells you may give you an idea of how best to proceed. For now, stick with the basics. If and as you get comfortable with how things work from the electrical side, you may want to take on greater challenges. Succeed at these and you'll be unique in the hobby. Even if you don't move beyond the basics, you're likely to save yourself a bunch of money and keep your ride on the road, instead of in the shop. LCD dash ground is behind drivers kick panel . There are also several electrical grounds down just above the oil filter and one behind the passenger kick panel for the ECM. and a couple on the rear of the drivers side cylinder head, Grounds are a constant issue on most c4's. Hope this helps. IMAGE: 1. Voltage & Current Parameters of the relay in-scripted on the Case of the relay. 2. Voltage & Current Parameters of the relay in-scripted on the Case of the relay. Most relays are available in different operating voltages like 5V, 6V, 12V, 24V, etc. If the required operating voltage is supplied to the relay, the relay is activated. 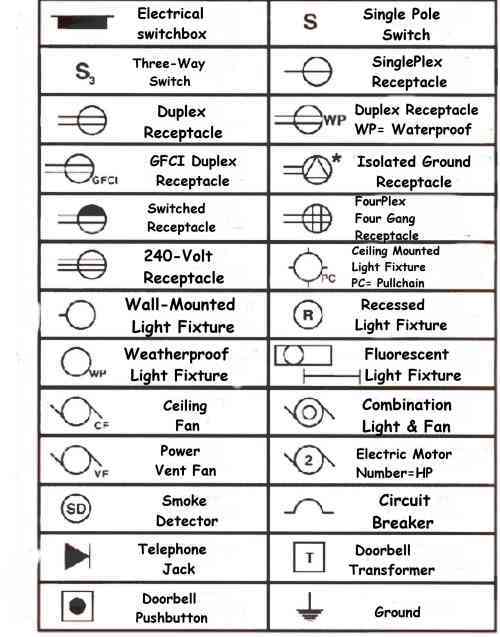 The operating voltage of a relay is generally in DC.Small signal relays and low voltage power relays are usually in DC, but mains control relays and contactors quite frequently have AC coils.The rest of the terminals of a relay are used to connect either a AC(generally 50/60Hz) or DC circuit. The switching and contact pins of the relay have their respective Maximum voltage and current ratings/Parameters. These Parameters are generally in-scripted on the plastic or PVC case of the relay.On the contact ratings, they will frequently have something like 5A@250VAC / 10A@12VDC. These are the figures you have to be within. Having said that you can run a higher current than stamped on it if your voltage is lower, they aren't directionally proportional though and the datasheet for the relay should be consulted. If a relay is overloaded, it can burn out and damage the circuit or appliances connected to it. Be sure to choose a relay that can handle your voltage and current requirements to ensure the relay coil doesn't burn out and your circuit doesn't get damaged. Volts x Amps = Watts - Never Exceed Watts! Example: A 5 Amp Relay is Rated at 250 Volts AC. 5 x 250 = 1,250 AC Watts Example: A 5 Amp Relay is Rated at 24 Volts DC. If you are switching AC Devices, Make Sure the AC Watts of the Device you are Switching DOES NOT Exceed 1,250 when using a 5A Relay. If you are switching DC Devices, Make Sure the DC Watts of the Device you are Switching DOES NOT Exceed 120 when using a 5A Relay. 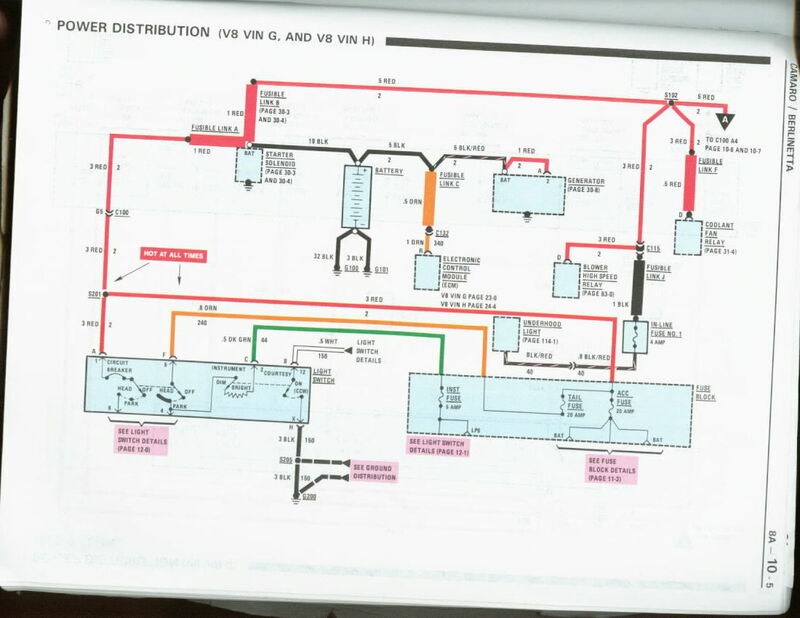 how many of you gentlemen go to a computer, print out related wiring diagrams ,get out a multi meter and a shop manual and actually read the shop manual, and step thru the indicated testing procedures? check for voltage ohms resistance, loose connections, etc. 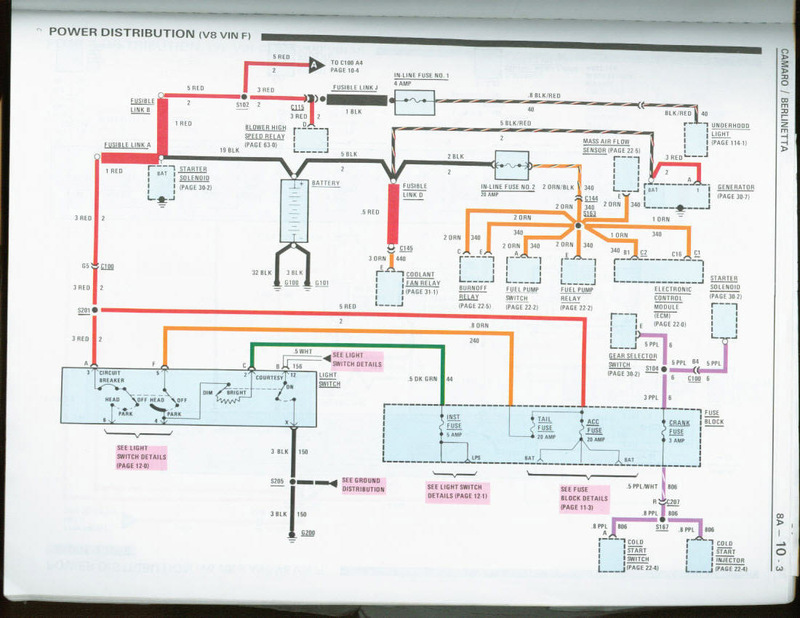 and have actually used the shop manual, multi meter and printed wiring diagrams ans instructions to isolate and solve a problem on your car? Ran across this great info on the American Autowire website. A fuse is a device that, by the melting of its element, opens an electrical circuit. The melting of the element occurs when the electrical current exceeds a specified level for a specified time. This action is irreversible and the fuse must be replaced after the circuit malfunction is repaired. A fuse is a temperature-sensitive device. This means that changes in ambient temperature, external heat sources (such as other fuses) and external heat sinks (such as conducting wires) affect the fuse. Fuse ratings are based on an ambient temperature of 77°F. Higher ambient temperatures will lower the effective fuse rating, and the fuse will open quicker for a given overload current. Unlike previous high current circuit protection devices (e.g. : fusible links) the Maxifuse was designed to protect cables from both direct short circuits and resistive short circuits, without damaging the device itself. This is due to the higher temperature insulating materials used to house the Maxifuse element and the element design. Compared to Minifuse, Maxifuse opening times are longer. The Megafuse is designed for high current protection of the battery/alternator system. 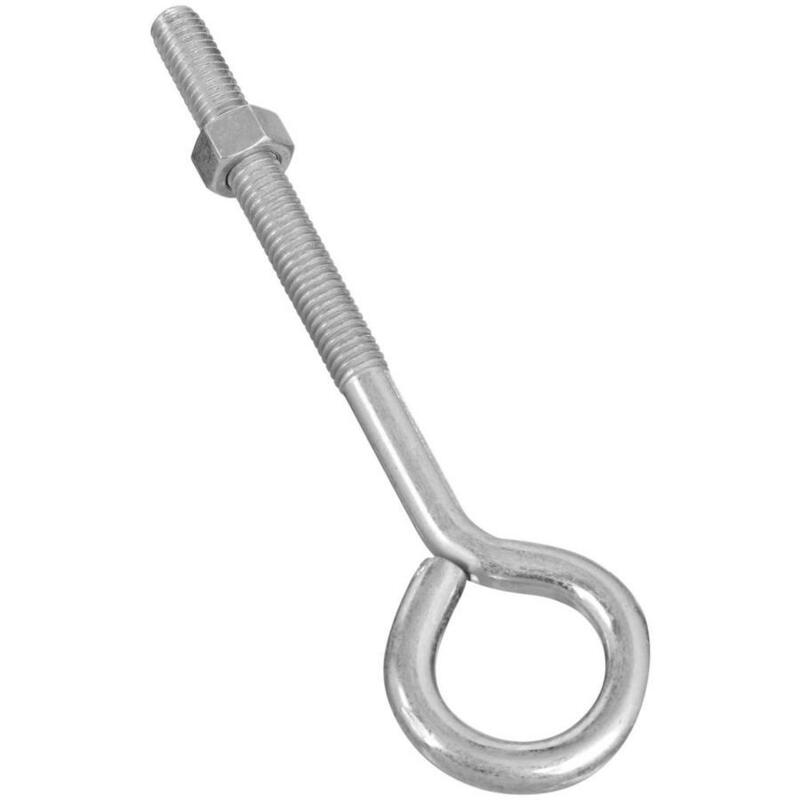 It has a bolt-down design to facilitate easy installation and replacement. Similar to the Maxifuse, the Megafuse is engineered with time delayed characteristics to allow for high in-rush currents. This place looks like a good source for some very high current switches, switch panels, relays etc. 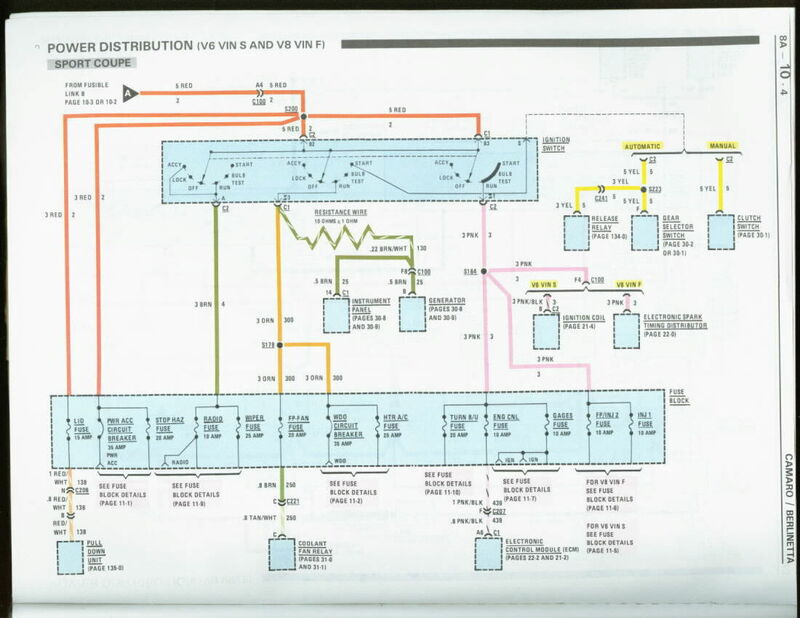 I've studying up on electrical wiring for automotive systems by readying everything I can find on the internet and also bought two books by Tony Candella. He also has a website where he sells many of the components he talks about, including the relays and connectors for waterproof conditions. Considerable money can be saved by going elsewhere. I bough supplies for three relays, connectrs and terminals. I will have to add my own 10 gauge wires for the power connections, where most others only have 12 gauge pigtails for the power connections. So bottom line it would have cost me $87 for three relays and connectors with pigtails. From Waytech I purchased the same thing for $38, the only difference is, I will have to add my own wires from the waterproof connector. 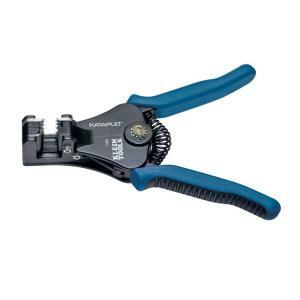 Which means I will have to purchase a good crimping tool. Relay Specs with dimensions, I always need all the details I can get. 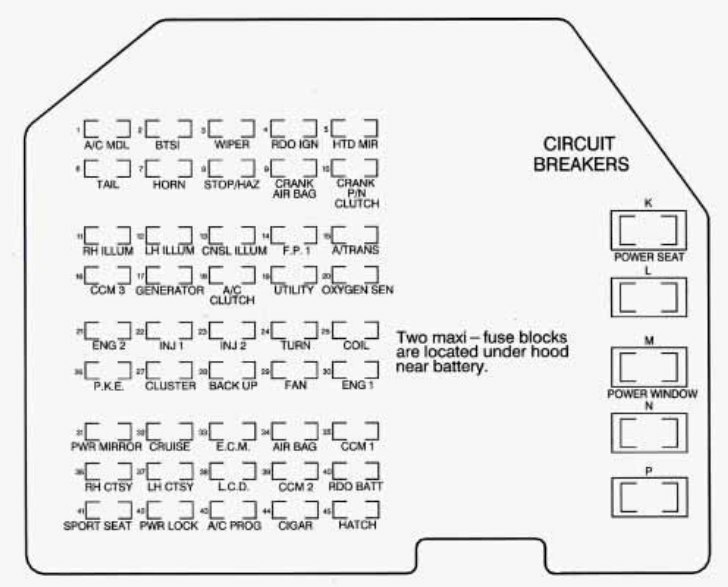 The interior fuse center is on the right side of your instrument panel. Turn the knob and pull the door to access the fuses. There are two maxi-fuse blocks in the engine compartment. One is part of the forward lamp wiring harness and the other is part of the ECM-engine wiring harness. I have a Magnesium Hand truck here, another put away in the garage. Saves the back moving engine blocks & transmissions.